The regional DAB multiplex is closing on 24th September with the loss of LBC, Real XS and Choice FM - amongst others - on DAB digital radio. To continue to hear the stations, you must listen online, via an app on your iPhone or Android smartphone or via UK RadioPlayer. Listeners in Liverpool, Manchester and Central Lancashire can check our listings to see which stations are now available on DAB in their area. 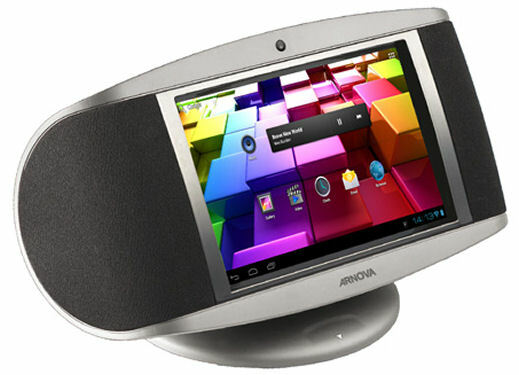 If you want to listen via a dedicated internet radio, you can check out a range of receivers to buy online. 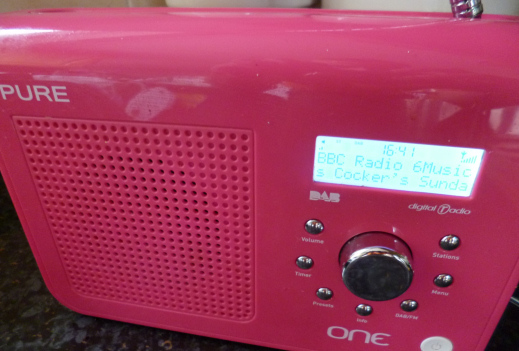 When does local DAB start in Pembrokeshire & Carmarthenshire? 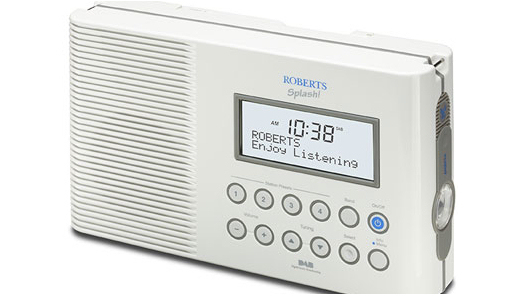 The regional DAB multiplex closed on 27th August, meaning LBC, Real XS and Choice FM will no longer be heard in the area on your DAB digital radio receiver. To continue to hear the stations, you must listen online, via an app on your iPhone or Android smartphone or via UK RadioPlayer. Xfm is also leaving regional DAB, but can still be heard on local DAB in and around Birmingham. Listeners in Wolverhampton and Coventry able to pick up the Birmingham multiplex can continue to hear new rock stations Xfm and Kerrang! To check what's on in your area view our updated listings. If you want to stream these stations you can buy a wi-fi radio online. Muxco 1, 2, 3 and 4 are announcing the imminent arrival of local DAB in and around Carmarthenshire and Pembrokeshire, also covering Swansea Bay and surrounds. The three transmitter sites are based at Carmel, Preseli and Kilvey Hill. Radio Pembrokeshire, Radio Carmarthenshire, Nation Hits, Nation Radio, Real Radio, BBC Radio Wales and BBC Radio Cymru will all join the multiplex at launch time. MuxCo 1 to 4 are short announcements broadcast during the testing period, whose aim is to inform listeners and assist engineers with transmitter tests. When do new DAB stations start in Northern Ireland? The regional DAB multiplex is closing on 29th July, meaning LBC and Xfm will no longer be heard on your DAB digital radio receiver. To continue to hear the stations, you must listen online, via an app on your iPhone or Android smartphone or via RadioPlayer. Choice FM is also leaving regional DAB and won't be heard on local DAB in and around the area, either. There isn't enough room for the stations to be included on local multiplexes serving the area. In the North-East of England, LBC and Choice FM are also leaving DAB, as the North-East regional multiplex is closing on 29th July. There isn't enough room to fit them on local digital multiplexes serving the area and - without an FM frequency to boost advertising opportunities - there's little financial reason for the station's owner to continue to broadcast on the platform. 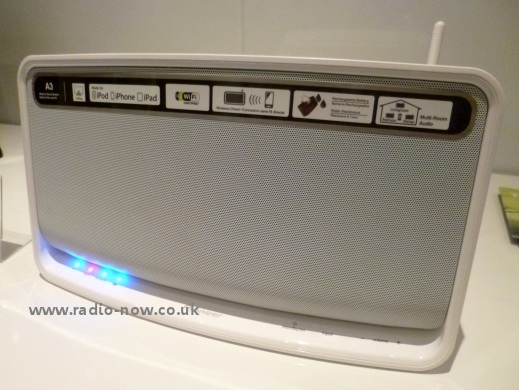 Never fear, local and national DAB multiplexes are unaffected, so there's no need to bin your radio! You can also see below for some information on forthcoming local digital radio rollout in South and West Wales. Listeners in South Wales might choose Nation Radio (on 106.8 and 107.3FM, too) as a rock option to Xfm on DAB, but there are few alternative talk stations to LBC that can be heard on DAB. It's back to talkSPORT or BBC Radio Five Live, or you could choose something to listen to online. The local digital radio multiplex serving the county of Surrey has been pencilled in for a December 2013 launch. 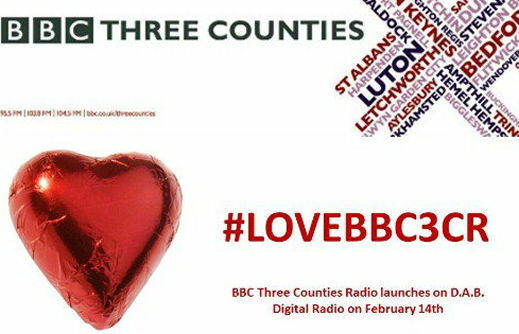 BBC Surrey, community station Redstone FM, Eagle Radio and mediumwave service Eagle Extra are all due to make up the bundle of stations available from launch. Contracts have been signed, so it's now a dead cert that the multiplex will launch. Lesbian, Gay, Bisexual and Transgender station Gaydio will be launching on 26th July across vast swathes of Wrexham, Cheshire and Merseyside to coincide with the Liverpool Pride festival; the stations will be available in the area for six weeks. If you need to re-tune, we have timely information. Transmitters are being set up, electrical installation is under way from the middle of August and commissioning has been scheduled for 26th August. The Bromsgrove transmitter - borrowed from the closing regional multiplex and re-used to carry Hereford & Worcs stations - will be operational from 2nd September - a few days following the closure of the West Midlands' bundle. The West Midlands multiplex is closing to improve coverage of local DAB. In addition to the one at Bromsgrove, Ridge Hill and Malvern transmitters will be up an running by mid-September. With equipment installed, but a few delays caused by electrical ducts, Gloucestershire local digi services are due to begin at the end of July 2013, with a full launch by the middle of August. BBC Radio Gloucestershire, pop hits brand Free Radio and modern rock station Nation Radio have all signed up for the launch. 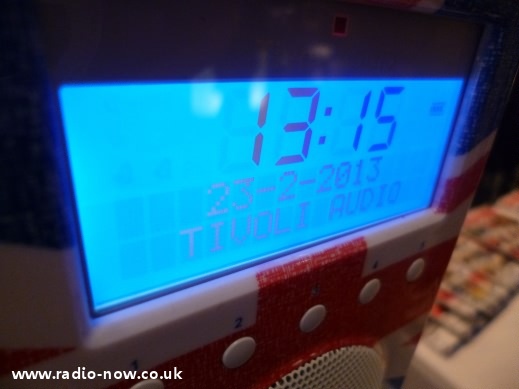 If you want to do a re-scan on your DAB receiver to see if anything pops up sooner, we've useful information. The Mid and West Wales bundle of DAB stations is almost ready to roll, but for some issues with electrical ducts at the transmitter site. No firm launch date has been given for BBC Radio Cymru, BBC Radio Wales, Radio Carmarthenshire, Radio Pembrokeshire, Nation Radio, Nation Hits and Real Radio to launch, but is likely to be in September 2013. Fools? Gold gone from Central Scotland; LBC dropped from Edinburgh. London-based talk station LBC and oldies/classic hits brand Gold have gone from Central Scotland. The stations, on the DAB platform, are no longer being carried on regional or local multiplexes serving Edinburgh and Glasgow. Contemporary and classic hits in the heart of Edinburgh. Meanwhile, staying in Central Scotland, Heart and Capital FM have joined Edinburgh's local DAB multiplex, mimicking a similar move last month on the Glasgow multiplex. They have moved from the Central Scotland multiplex. Sports radio station prepares for July launch. Eklipse Radio gets ready for 22nd July launch in Central Scotland. The station, lining up sports news and chat with popular classic and current rock tracks, will be heard on DAB digital radio across the region. Central FM launches across the region. Stirling and Falkirks's Central FM has quietly launched on the Central Scotland multiplex. A brand DAB digital radio transmitter at Emley Moor has been powered up, meaning that listeners with a DAB-enabled set can hear BBC Radio Leeds, Radio Aire, Absolute Classic Rock, Absolute Radio 60s, The Hits, Magic, Kerrang! and Heat across a wider area: Leeds local DAB coverage is up from 53 percent to 96 percent. Earlier in 2013 there was a boost to the South Yorkshire DAB multiplex, increasing DAB coverage to an extra 350,000 people. This now means that 83 percent of South Yorkshire and Sheffield homes can now receive Absolute Classic Rock, Absolute Radio 60s, BBC Radio Sheffield, Gold, Hallam FM, Heat Radio, The Hits Radio, Kerrang!, Kiss, Magic and Trax FM. Judging by the job advert on the Eklipse radio website, the new station for Central Scotland will be more than just a rock jukebox, instead combining sports news and chat with popular classic and current rock tracks. The station's Facebook page is up and running, linking through to their brand new website. Eklipse, which will be heard online and on DAB digital radio in the Central Scotland region, is due to launch around the middle of July - not long to wait! With the beginning of the SPL 2013/14 season fast approaching and Scotland's passionate supporters, there should be plenty to talk about, with phone-in shows in the pipeline alongside an exciting music mix. Sadly, Kerrang! 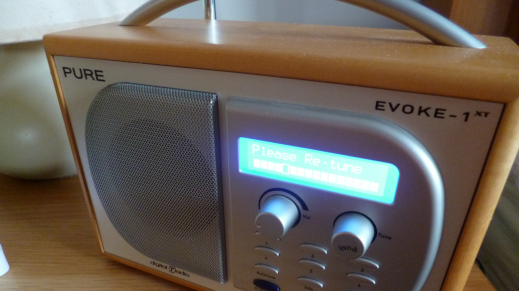 Radio is no longer broadcasting on 105.2 FM in Birmingham and the Black Country, but you can still find a digital version of the station online, on DAB digital radio and Freeview digital TV. There's a new schedule from Monday, 17th June, with the station's website also answering a few questions regarding the transition from FM to online. 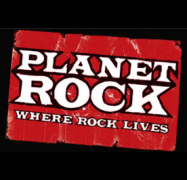 Classic rock enthusiasts can tune in to Planet Rock on 105.2 FM in West Midlands instead. 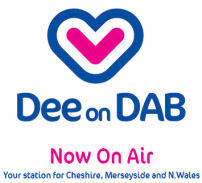 The station already broadcasts nationally across the UK on DAB digital radio. Kiss Fresh, a brand new digi station playing nonstop new beats including hip-hop, R&B, EDM, House and garage, is launching via the new Kiss Player accessible from your web broswer on desktop PCs and Macs, and via mobile web on smartphones and tablets, and through the forthcoming new KissKube iOS app - and via our listen live pages. The station will also broadcast hour-long mixes from a range of new DJs and specials from artists such as Daft Punk. Kisstory makes its transition from an hour-long blast from the past on Kiss to a fully-fledged station on Freeview TV (channel 714) and online. The station plays nonstop old skool and dance anthems. Both stations are available online, accessible also via our listen live pages. 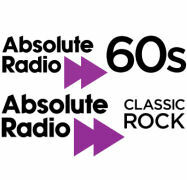 Absolute Radio 60s has been removed from DAB in some areas, alongside Absolute Radio Classic Rock. In Ayr, Exeter & Torbay, Cardiff & Newport and Bath, Swindon and West Wiltshire and Coventry & Warwickshire you'll have to listen online if you want to continue to hear your favourite sixtes and classick rock tracks courtesy of Absolute. Find out which stations you can receive by a postcode check. The latest radio industry press releases and articles. radio-now.co.uk is neither affiliated with the sites below nor responsible for the content of external sites. The switch-on of a new bundle of stations on digital radio serving the area means that 2.2 million people in North East Wales, Wrexham, West Cheshire and Liverpool can now tune in to BBC Radio Wales, BBC Radio Cymru, Real Radio Wales, Nation Radio, Juice FM and Dee on DAB on digi radio for the first time. Please see our Wales listings for more information and links to services. Planet Rock and all-eighties station Absolute 80s will be heard in mono on DAB digital radio from May - dropping from stereo output - when new rock station TeamRock begins broadcasting, itself in mono. TeamRock will broadcast music and documentaries spanning a wide range of rock genres and will be heard nationally on DAB digital radio in England, Scotland and Wales. The Bristol Show 2013 was the place to see 4K hi-res tellies, Bluetooth, Airplay and wireless speakers. 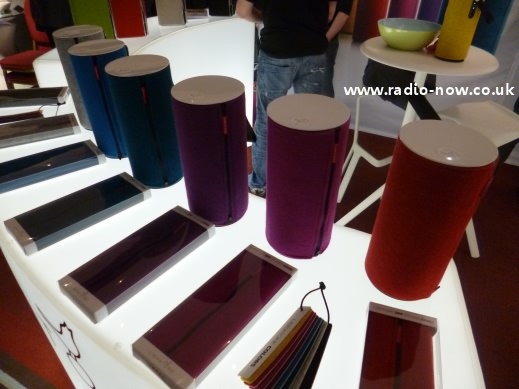 Wireless audio seemed to be the popular buzzword at the show. Internet tablets such as the Nexus 7 and Amazon Kindle and smartphones have access to radio and music streaming apps, such as Radioplayer and tunein, which make them convenient for getting your music or sports commentary fix. 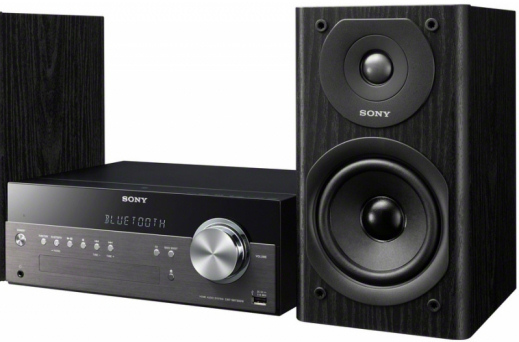 Ditching the tinny built-in speaker or headphones for a wireless connection to a set of decent speakers makes listening to streaming radio and music a much more satisfying experience. Over the coming days and weeks, we'll share some of the products we've seen at the Bristol Show this year. 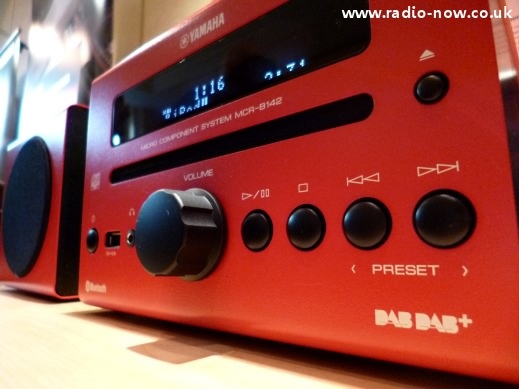 Featuring both DAB and DAB+ tuner, the MCR-B142 is available in loads of colours. 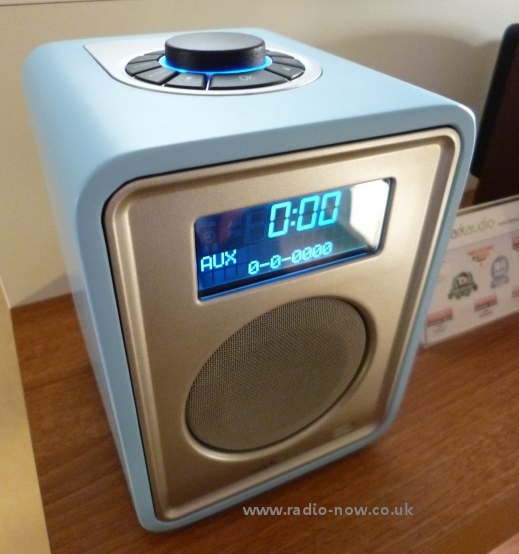 Sporting a pastel blue finish, the award-winning radio returns in a new colour. 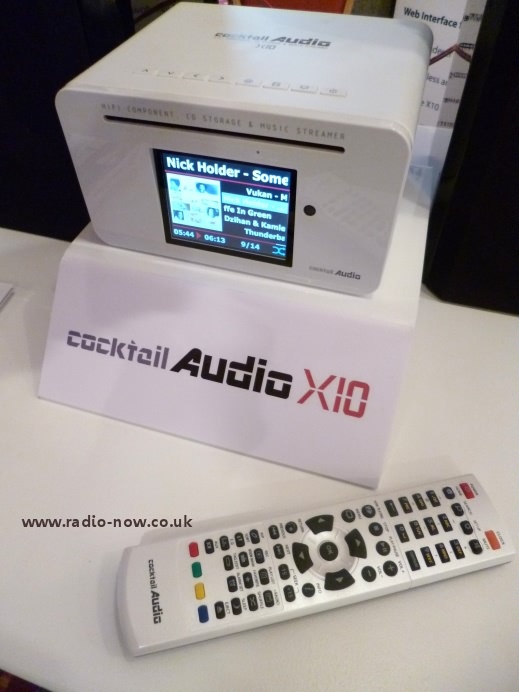 Cocktail Audio's music system stores CDs, streams stations and lets you archive audio. 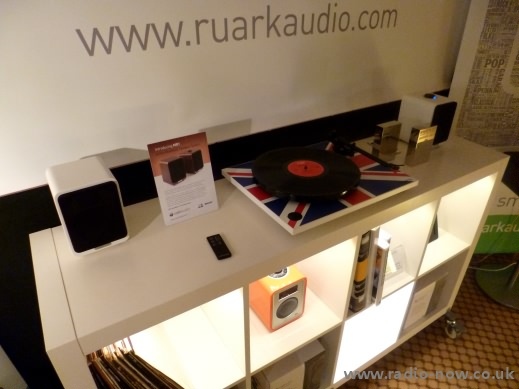 Bluetooth-enabled Ruark active speakers debut at the Bristol Show - ideal for smartphones.